Being famous isn’t easy especially if you’re an Australian and you’re a Cricket player and you don’t like being called 'MONKEY'. 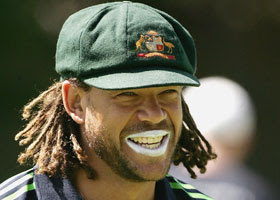 Andrew Symonds is feeling depressed, he thinks he can’t make it to India next month. As market leader, I too am famous and I like helping people. I wrote this letter to Andrew teaching him how to deal with stress and troubles in life. You are feeling sad. I know. The Australian media is reporting that you’re still pissed that your Cricket Board did nothing after Harbhajan Singh called you a ‘MONKEY’. That and the fact that you are scared of facing a formidable team like Bangladesh has sent you into a state of emotional depression. I heard that you went fishing instead of discussing important strategies on how to beat Bangladesh in a team meeting .This is why your Cricket Board sent you away and caused your present problem. The Bangladeshis are known to do this from time to time. 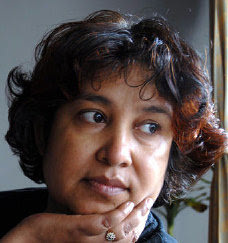 They did it to us with Taslima Nasreen.Her entry into our country caused a lot of our people to examine their own future like you. However, I can’t understand why you’re still pissed at Harbhajan of all people. 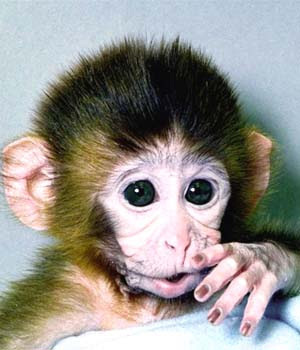 Harbhajan was only practicing his mother tongue when he said ‘Tere Maa Ki’ not ‘MONKEY’. There is a problem with your ear but there are a lot of problems with every Australian’s ear. The Australian medical establishment is in a state of crisis .Your doctors can’t diagnose these problems properly. Australian doctors are not trained for this sort of stuff and their situation has become worse ever since they started sending talented doctors who are trained for this like Haneef Mohammad back. And now your stupid Cricket Board has decided to send you to a Head Doctor for ‘Psychological Assessment’ instead of an Ear Doctor for ear inspection. Australians are weird. You must however come to India. Our country loves you. I will personally employ the brave men and women of TOPS Group Security to make sure that no one in the crowds calls you ‘MONKEY’.I will also recommend that stress for the nerves can be overcome by using traditional Indian remedies like ‘Himani Navratan Oil’. 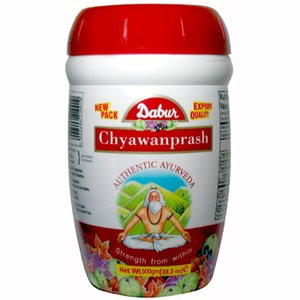 You should also get into the habit of eating one spoon of Dabur Chywanprash everyday. It makes your nerves strong. 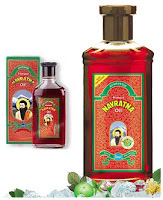 I can ensure a lifelong supply for you if you invest in Dabur. 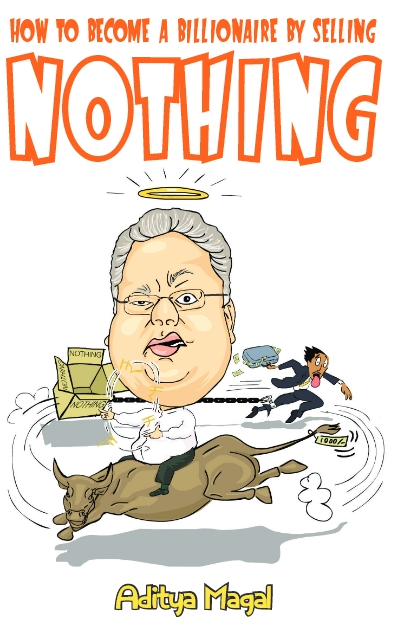 Today’s closing price of Dabur’s share was only Rs.96.50/-. You can also get rid of stress by slapping one of your team-mates . Harbhajan was stressed just like you after he came back from Australia but his stress disappeared after he slapped Sreesanth.Now he’s fine and he even took ten wickets in a match against Sri Lanka. I can arrange for Matthew Hayden to call you an ‘Obnoxious little MONKEY weed’. You can slap him, and then you’ll be fine. Also don’t worry about Lalit Modi telling you that you can’t play for the IPL.The rules of the IPL are unclear just like the Indo-US nuclear deal. Whether you can play or not play is as uncertain as whether India can test nuclear weapons or not. It pains me to see you like this. You were once like the Heavy Metal Band Metallica. 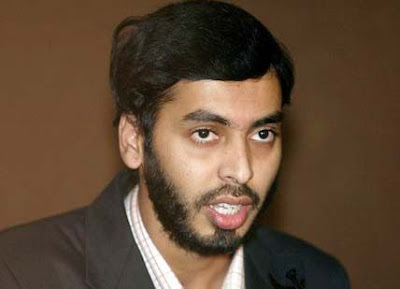 Now you’ve become Ghazal singer Altaf Raja. 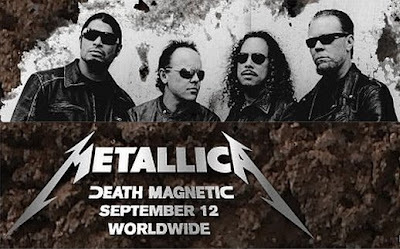 You can become Metallica once more by listening to their new album ‘Death Magnetic’ releasing on September 12.The word ‘MONKEY’ doesn’t appear in any of their songs.